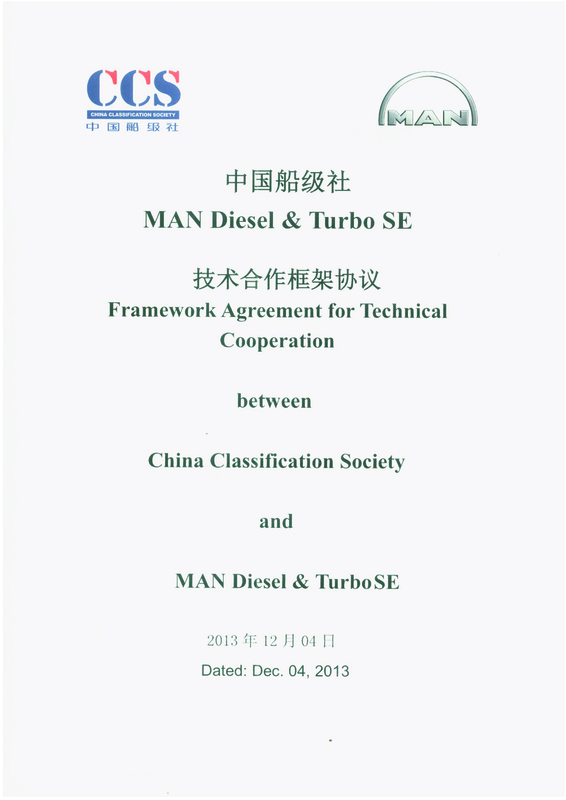 On 1 December 2015, MAN Diesel & Turbo signed a Technical Cooperation Agreement with the China Classification Society (CCS) during Marintec China 2015. The Agreement provides for the strengthening of the cooperation between the two companies in Intelligent Ship research with regards to data exchange, online monitoring and online service. Wayne Jones – recently appointed as Executive Board Member for Sales from 1 January, 2016 – MAN Diesel & Turbo, and Sun Feng – Vice President – CCS, signed the agreement on behalf of their respective companies. The Agreement is an implementation agreement under the Framework Agreement for Technical Cooperation signed by both parties back in 2013. MAN Diesel & Turbo and CCS have since strengthened their cooperation within the fields of ship technology, ship-type research and development, and especially within environmentally-friendly technologies. 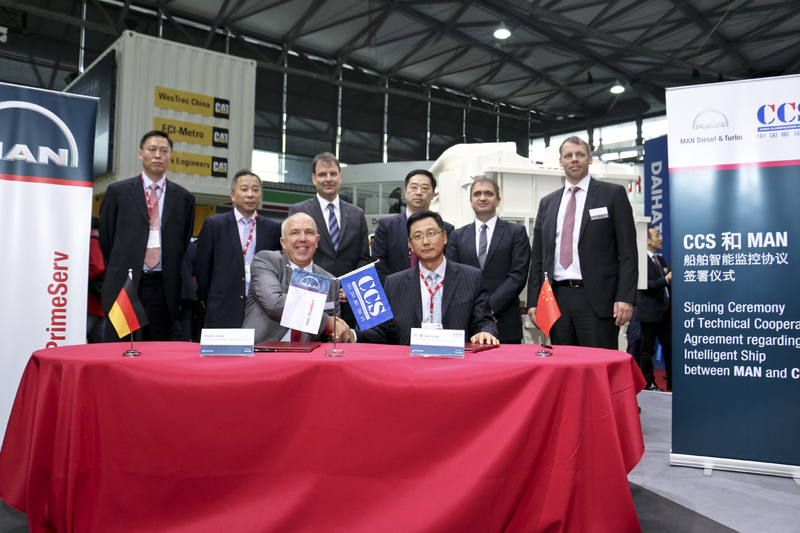 In April 2015, CCS awarded MAN Diesel & Turbo’s entire four-stroke engine portfolio the world’s first SCR IMO Tier III Approval in Principle, which represented an important milestone in their collaboration. CCS also took the opportunity at Marintec to present MAN Diesel & Turbo with a class approval for its PrimeServ Online Service, which is a further step towards the Intelligent Ship concept and more safety for ship owners. This remote monitoring service makes it possible to diagnose machinery at any time and from any location and is a service MAN PrimeServ, MAN Diesel & Turbo’s service division, has offered successfully for many years. Based on transferred and stored engine data, PrimeServ experts analyse the data and provide recommendations for the operation, maintenance and repair of the engines. The Intelligent Ship is set to be a major trend in the future within the shipping industry where it is predicted that the collection and usage of big data will help to increase efficiency, promote technological progress, save costs, and offer new types of condition-based maintenance – ultimately leading to research into unmanned vessels. As the world’s leading provider of large-bore diesel engines, MAN Diesel & Turbo already offers electronic, condition-based maintenance solutions. In the coming years, it will work more closely with CCS in this regard in order to leverage the opportunities that digitalisation offers.